A limited edition project that brought two experienced makers together to help the RIT industrial design program grow. Designer, professor, and chair of the industrial design department at the Rochester Institute of Technology Josh Owen collaborated with the late iconic designer, sculptor, and educator Wendell Castle on a limited edition project setup to give back to future students of RIT’s industrial design program. 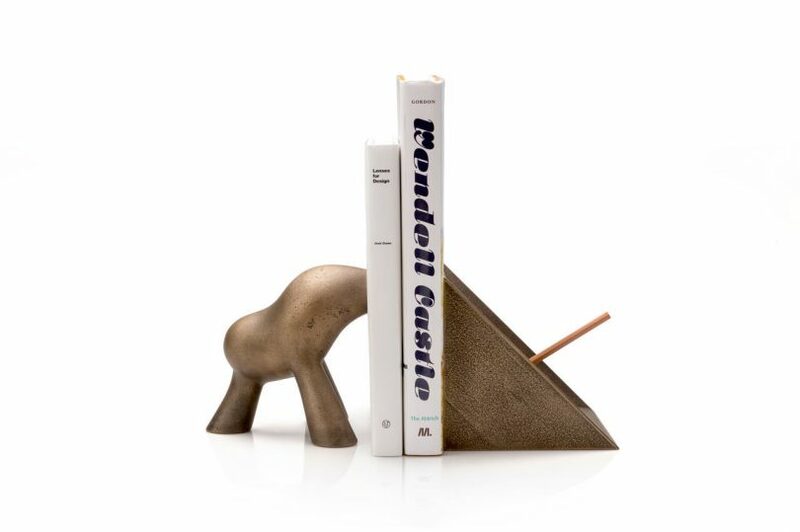 The two designers worked together on a set of cast bronze bookends, each one of them in charge of half the set. While each one has its own distinct design, the two come together to form a set that solidifies their commitment to growing the design program at RIT through the Support for Education project. To learn more about the project and its inaugural product launch, we spoke with Josh Owen who filled in all the blanks. For people who don?t know about Shop One, RIT?s on-site design shop, can you briefly give us some more background/significance about this shop"